Organized under Buds and Blooms, Evergreen Foliage, Foliage, Plant of the Month, Plants I Dig, Winter Gardens. 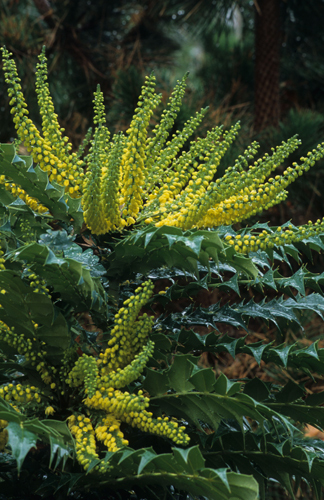 Labeled as Drought Tolerant, focal point plants, january plant of the month, mahonia, mahonia winter sun, mahonia x media 'winter sun', plant of the month, winter blooming plants, winter plants, winter sun hybrid mahonia, winter sun mahonia. No comments.